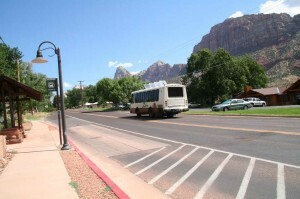 The Zion Canyon Transportation (Shuttle) System provides an easy and fun way to see Zion Canyon. It operates year-round, except for the winter months. The shuttles operate both within the park and the town of Springdale. The park shuttle loop provides access to points of interest, trail heads, and the Zion Lodge along the Zion Canyon Scenic Drive. While the shuttle system is in operation, the Zion Canyon Scenic Drive is closed to private vehicles, except that Zion Lodge guests may drive as far as the lodge. All other roads in the park, including Highway 9 through the park, are open to private vehicles. www.nps.gov/zion or calling the park at 435-772-3256. 1. Park Parking at the visitor center is usually full between 10 a.m. and 3 p.m. daily. To avoid parking hassles, leave your car in the town of Springdale and ride the free town shuttle to the park. Enter the park on foot at the Zion Canyon Village. Tune your radio to 1610 AM for more information. 2. 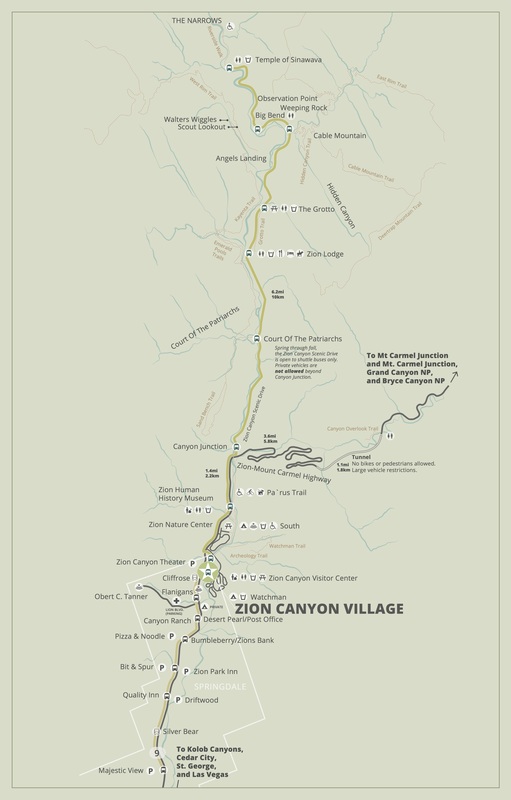 Plan Use the exhibits in the Zion Canyon Visitor Center to plan your visit based on your time (less than 3 hours or more than 3 hours) and your interests (sightseeing, hiking, and more). Check the schedule of Ranger-led activities and the park bookstore for maps and books to enhance your visit. 3. Ride Free buses run from 5:45 a.m. to 11 p.m. as often as every six minutes (check actual schedules when you arrive). Buses are fully accessible. Pets are not allowed.